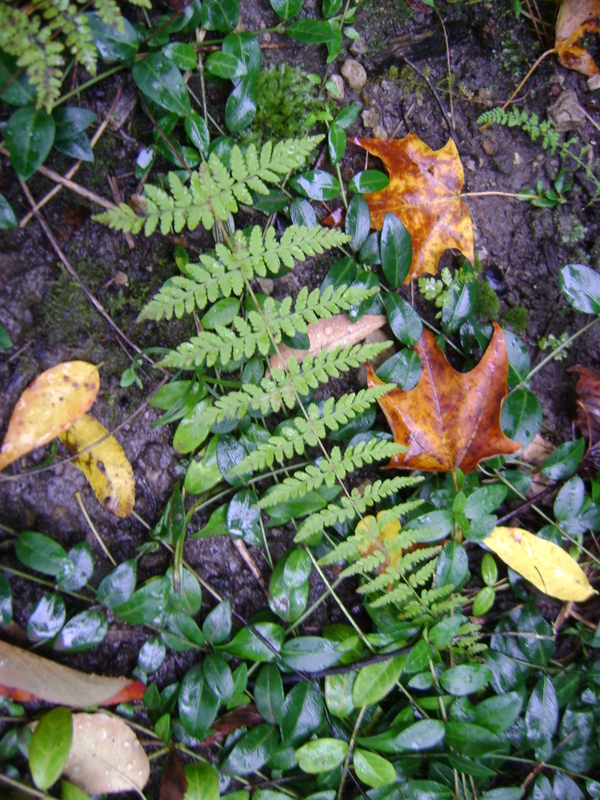 What image does the word fern install in your mind when you hear it. 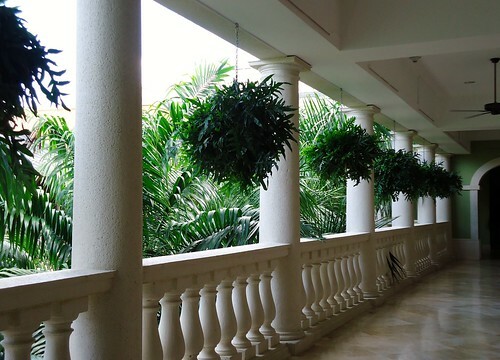 Cool green, moist forested areas, just type ‘fernery’ into google images and see if you don’t drool. 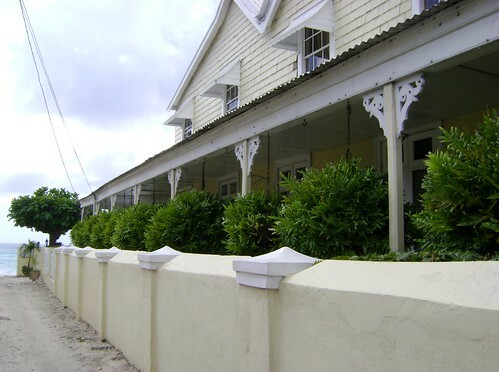 Even if you are not the biggest fern fan in the world, just looking at those lush images will make you appreciate them at least. 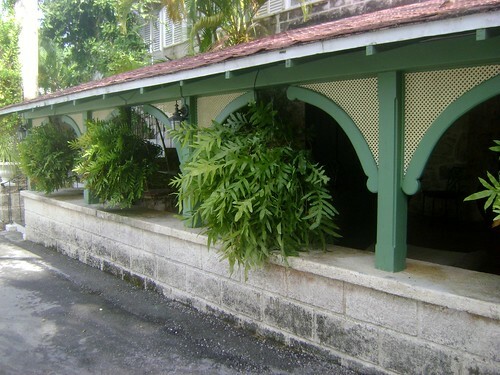 According to Wikipedia, a fernery “is a specialized garden for the cultivation and display of ferns. Now I don’t have a fernery, at least not yet, but I have added to my fern “collection” recently. 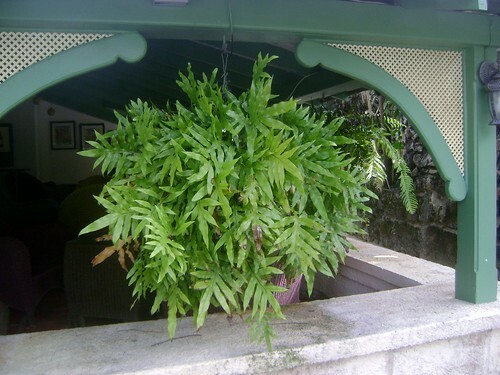 A month ago I purchased the Tatting fern or Athyrium filix-femina ‘Frizelliae’. Sorry, it was a windy day! Tatting fern is a very appropriate name for this fern, the edges look just like some of the linens that Ian’s grandmother gave us. That is definitely a lost art. I also felt compelled to increase the number of my ‘Ghost’ ferns, Athyrium ‘Ghost’ . I had two in the garden, they are planted by my Coppertina ninebark. I love how the dark stem of this ghostly fern picks up the dark foliage of the ninebark, while the soft grey of the fronds is an amazing contrast. 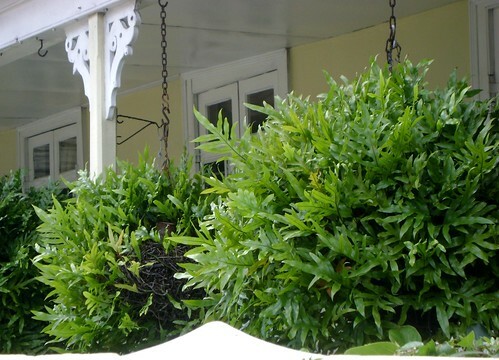 Last summer, I purchased another Asplenium scolopendrium, from Humber Nurseries. 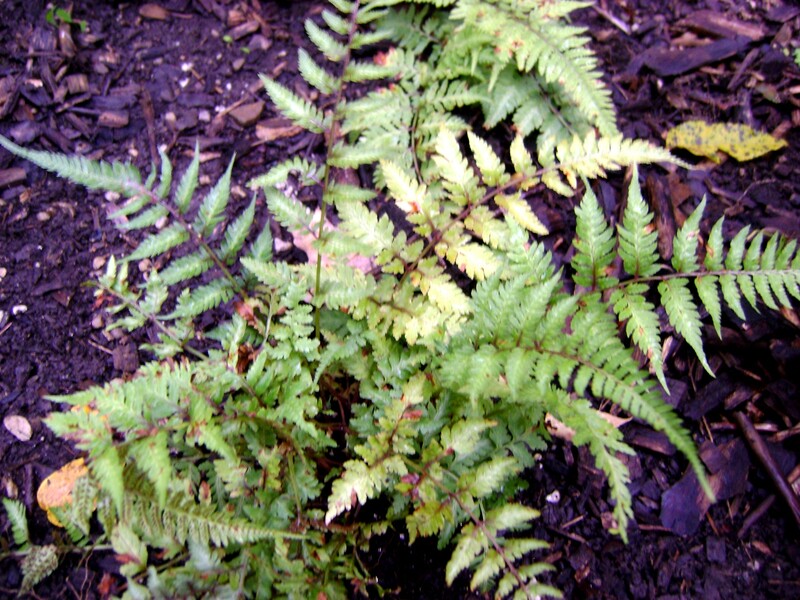 It was a purchase with a gift, as another fern had self seeded into the pot at some time, and the two of them had grown happily together. I think that the stowaway might be Dryopteris filix-mas ‘Linearis’, but please let me know if you feel differently. I also received as a gift a couple of Japanese painted ferns. They must be the species, as my only other Athyrium niponicum is supposed to be ‘Regal Red’, and looking at them planted side by side, you can definitely see the difference. I love this soft apple green so much I went out and purchased another. 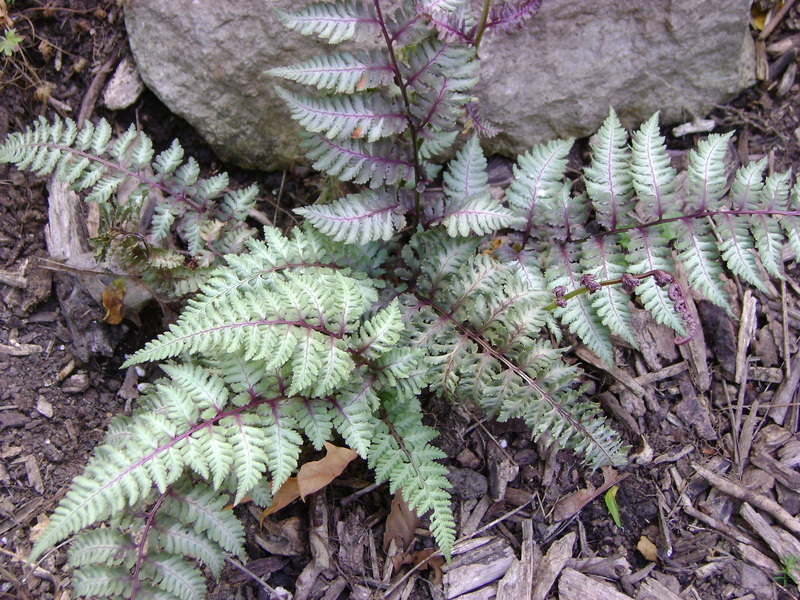 Here is Athyrium pedatum ‘Pictum’. And ‘Regal Red’, see the difference in colour? 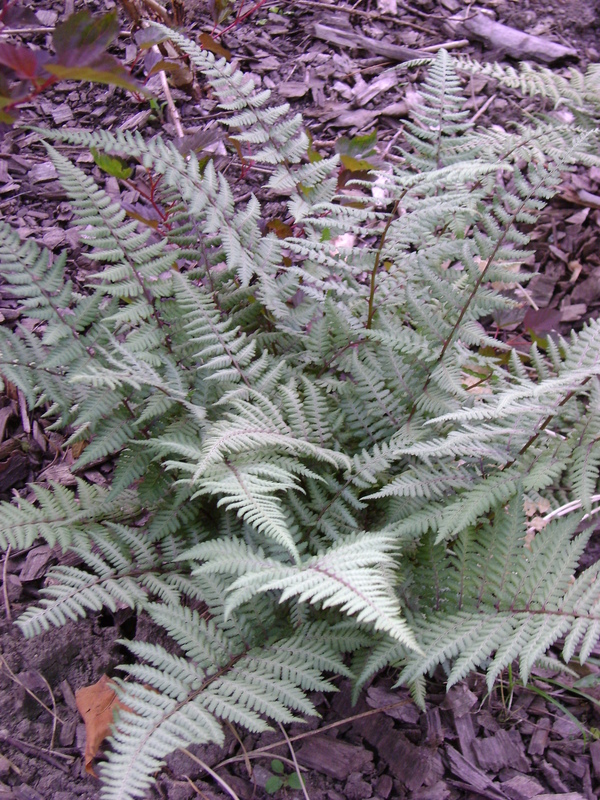 I have ostrich ferns, Matteuccia struthiopteris that I dug up in my fathers woods, and also this fern. 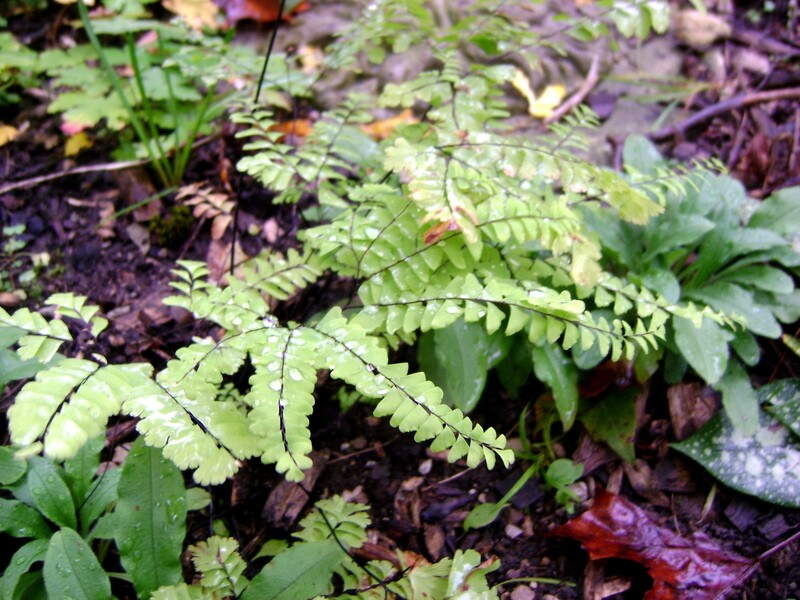 Let us not forget the hardy maidenhair fern. I love maidenhairs, I plant them every year on my terrace in Toronto. They love the shady, protected site and are lovely until the frosts come. 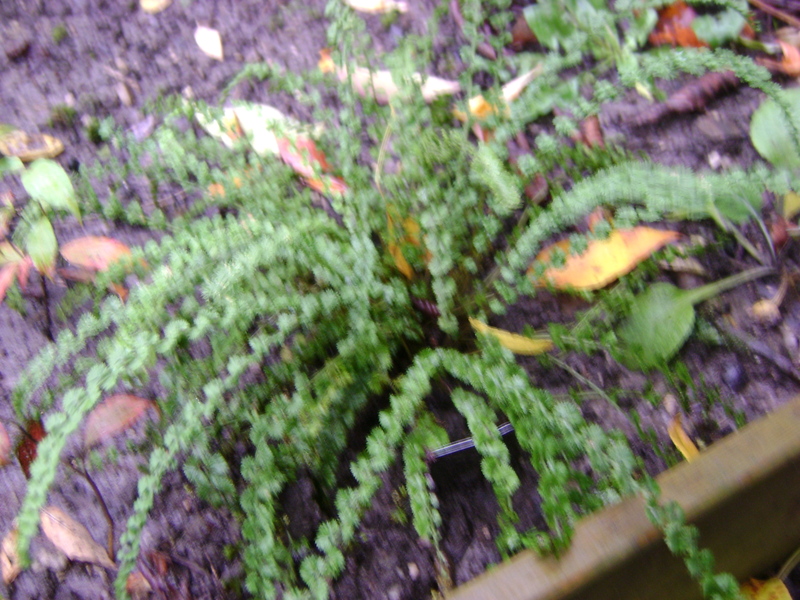 But they are not hardy in the garden, but Adiantum pedatum is. 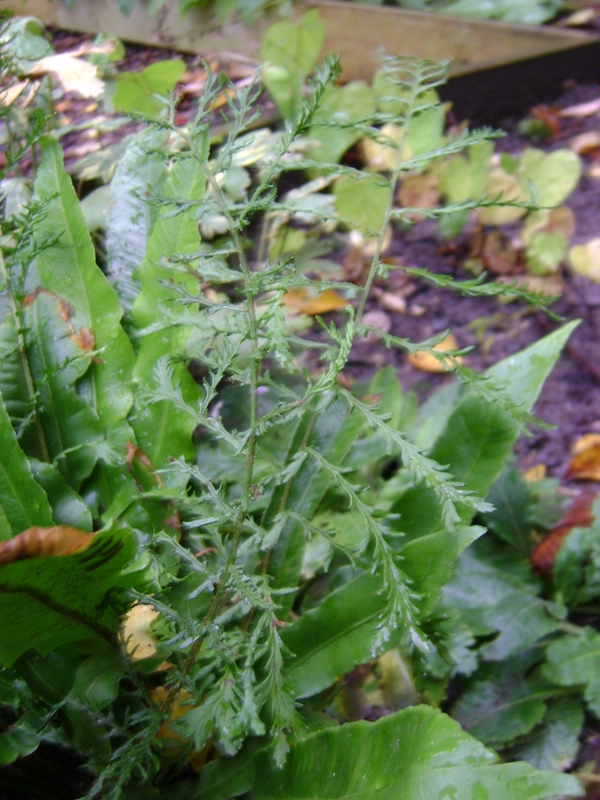 Wiry black stems with a light green frond. Mine is still quite short as it is newly planted, but I am hoping next year I will have some taller stems growing. I don’t think that this is a large enough number to qualify as a fernery, and I do not have them planted all together, but once again, a collection seems to be starting in my garden, and I am not unhappy about it.